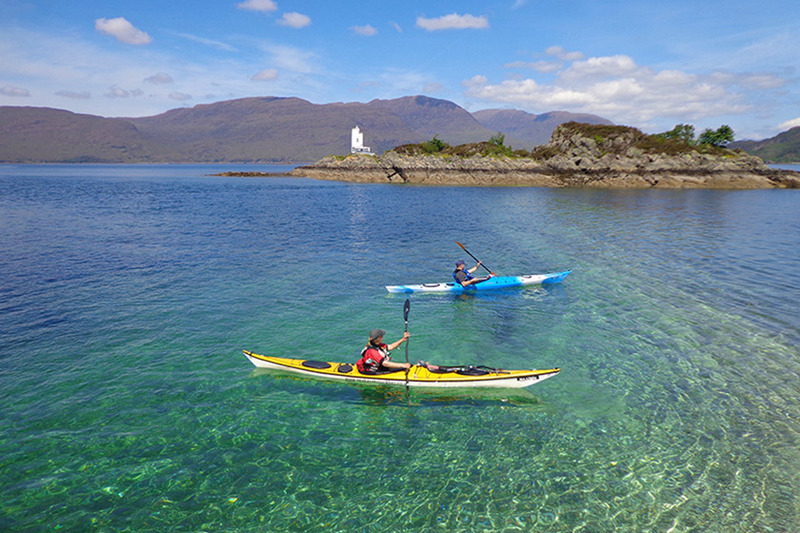 At Sea Kayak Plockton we believe in giving people confidence so that they can learn and develop paddling skills and enjoy the breathtaking beauty of the Scottish Highlands from a totally different perspective. We also believe that Plockton is simply one of the best places to do this. 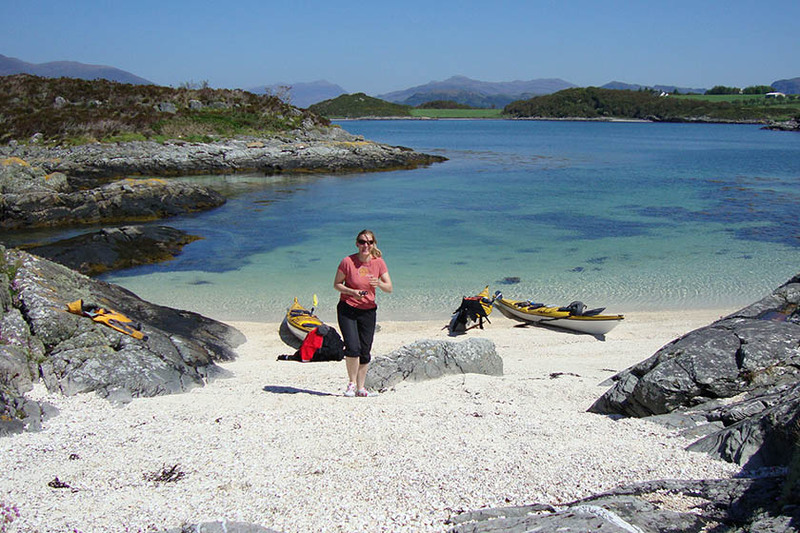 Plockton’s picturesque sheltered bays are ideal for learning and improving skills, which can then be put into practice around its offshore island archipelagos and more challenging waters of Loch Carron. For the more experienced kayaker, we have easy access over the sea to Skye, only a 10 minute drive away. Our team of fully qualified professional Sea Kayak Instructors will equip you with top quality gear and provide expert tuition. Your sea kayak experience will always include a guided journey, which means you get to experience panoramic views of the Isle of Skye, Applecross and Torridon mountains and reach coral beaches only accessible by boat. 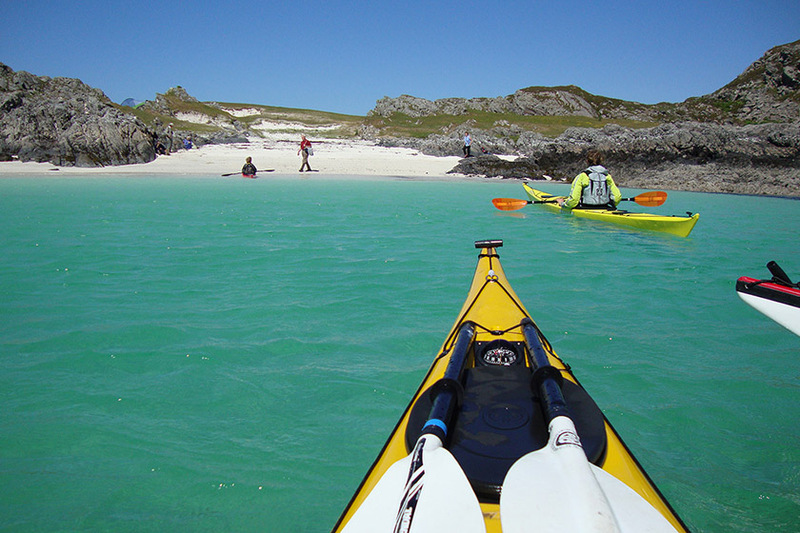 Wildlife is abundant and journeying by sea kayak will give you the special opportunity to explore the fascinating coastline and see seals, birds, porpoise and maybe the elusive otter. Please see our Facebook and Twitter pages.